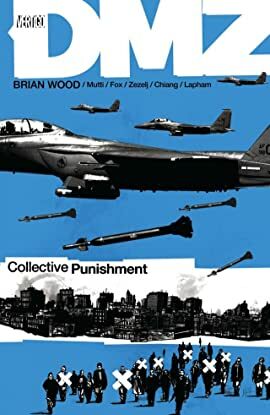 In this collection of five single-issue stories, citizens and soldiers - new characters and old - weather the storm of a brutal "shock and awe" bombing campaign on the DMZ. 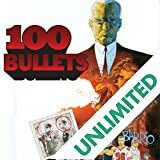 Includes a story concerning the enigmatic Wilson, the self-professed protector of Chinatown and confidant to series star Matty Roth who has always said he'd own the DMZ in the end. Now, with the U.S. poised to steamroll its way into the city, it's do-or-die time for the old man. In another, Matty lends his Liberty News secure phone line to DMZ citizens to reach out to loved ones outside the city - a direct violation of his contract. Is this the beginning of a new, compassionate Matty looking to atone? Or are more cynical motives at play? Find out in this newest collection of the acclaimed series. Aspiring photojournalist Matty Roth gets trapped in battle-weary Manhattan during America's second civil war. 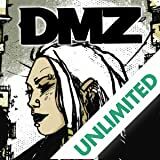 He takes a once in a lifetime opportunity to follow a veteran war journalist into the middle of the DMZ. But taking it leads to more than just a scoop...it leads to a whole new life. Religious conflict. Technological revolution. Fear of the end of the world. Sound familiar? It should. But it's not the world of today, it's the world of Europe, circa 1000 AD. The world of the Viking-based series NORTHLANDERS by creator Brian Woods! Fifteen years ago, Dash Bad Horse ran away from a life of poverty and hopelessness on the Prairie Rose Indian Reservation. Now, he's come back home to find nothing much has changed on "The Rez" in this gritty, gripping organized-crime drama. If a stranger offered you a chance to get away with murder...would you take it? In this dark, multiple award-winning crime series, ordinary citizens are given the opportunity to exact revenge on a person that has wronged them. Guaranteed full immunity, what would you do?